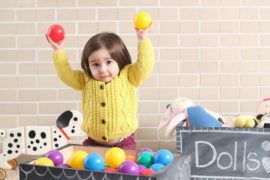 Parenting has many rewards – but stepping on your child’s sharp and painful minicars, building blocks and dolls is decidedly not one of them. 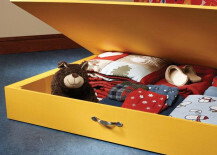 Luckily, there are many ways to wrangle in your little one’s toys and keep them neat and tidy. 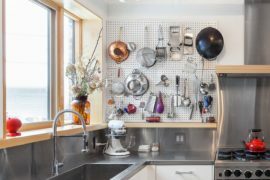 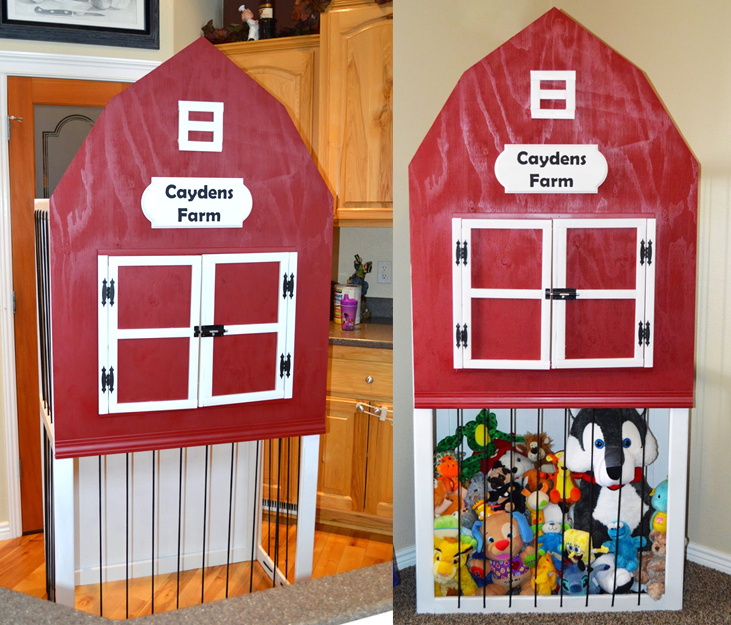 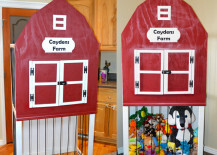 From an adorable barn-themed stuffed animal keeper to magnetic wall-mounted pizza pans, read on for eight DIY toy storage ideas to get your kidlets’ toys under control. 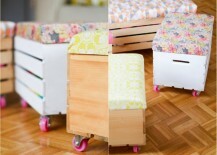 These darling rolling crates with casters seen at This Little Street bring toy storage where you need it most. 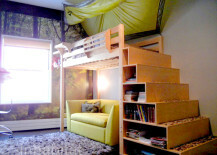 A cute cushion is the cherry on top and provides a place for young ones to take a break from play. 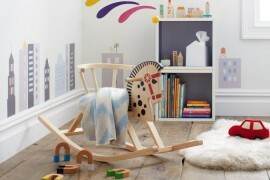 One of the best ways to get your kids to tidy up is to disguise cleaning as play. 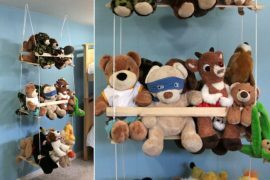 A stuffed animal zoo like the ones created by the Tomlinsons of Keeper of the Cheerios using plywood and bungee cords makes picking up toys look like corralling animal buddies. 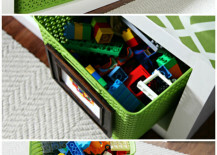 What do pizza pans have to do with toy organization? 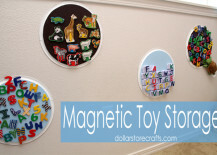 Plenty, if Dollar Store Crafts has anything to say about it. 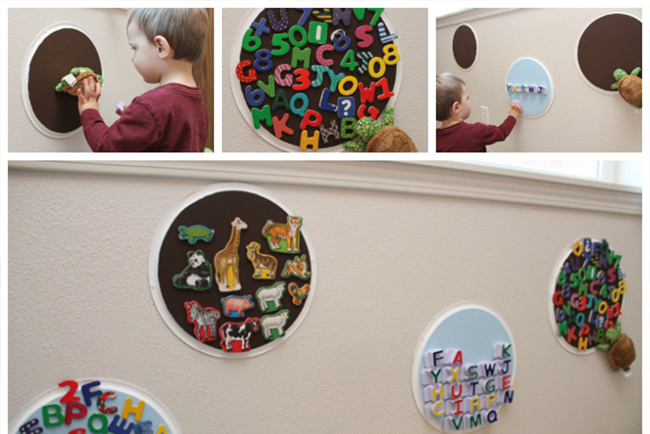 Check out their sweet tutorial showing you how to create handy magnetic pizza pan toy keepers that let your children stick their playthings to the wall when they’re done with them for the day. 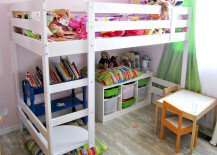 Loft beds are a smart way to add extra storage while also creating a fun playing nook underneath! 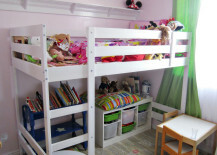 See how A Mind for Happiness hacked an IKEA Mydal bunkbed to create a pink and lime oasis for her daughter with plenty of room to keep toys neat and organized. Your little camper will find it hard to complain about having to put his or her toys away if it means tucking them into a sweet tent-themed loft bed like this one. 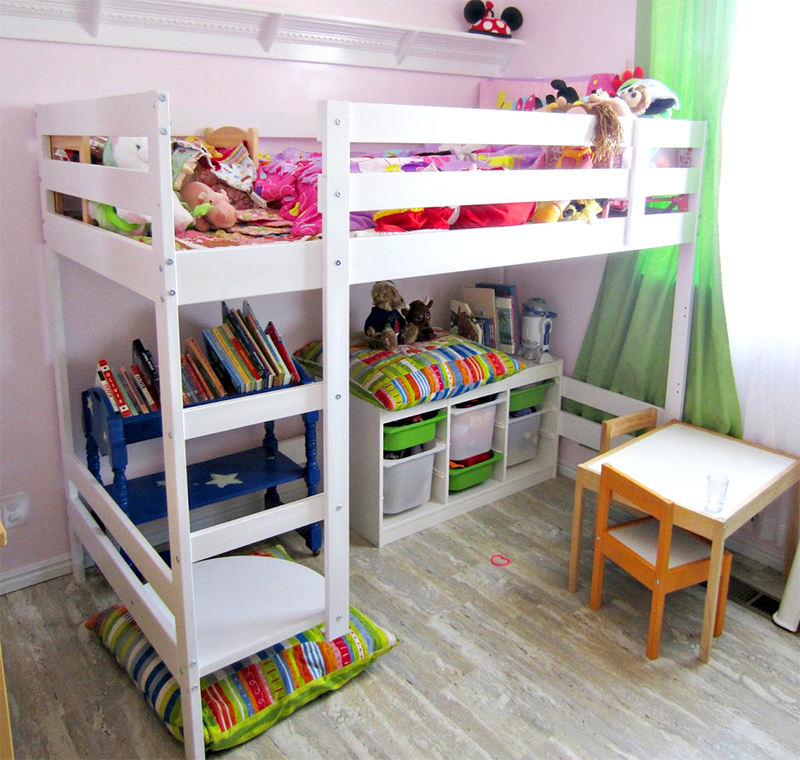 The stairs do double-duty as storage cubbies, so there’s no excuse not to tidy up before heading to bed. 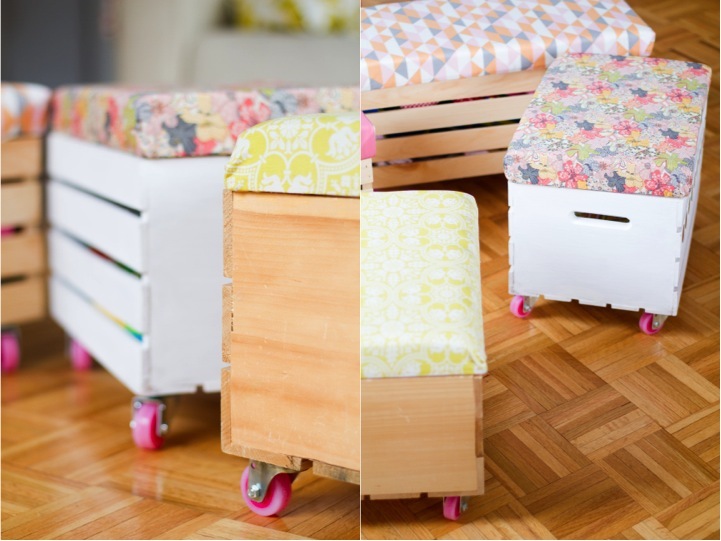 Box Em’ Away with Style! 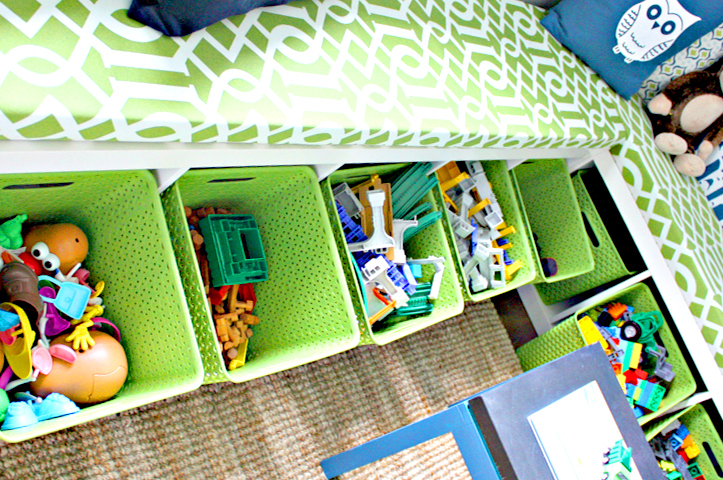 I Heart Organizing elevated the ubiquitous IKEA Expedit into a neat and tidy toy storage bench just by laying it on its side. 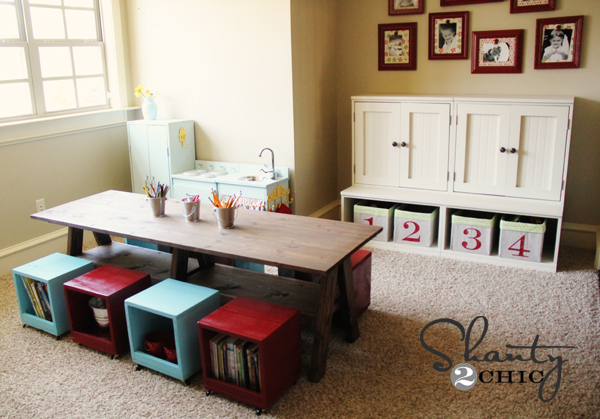 Add a few colorful baskets and pop a cushion on top, and you’ve just created valuable space that also doubles as seating. 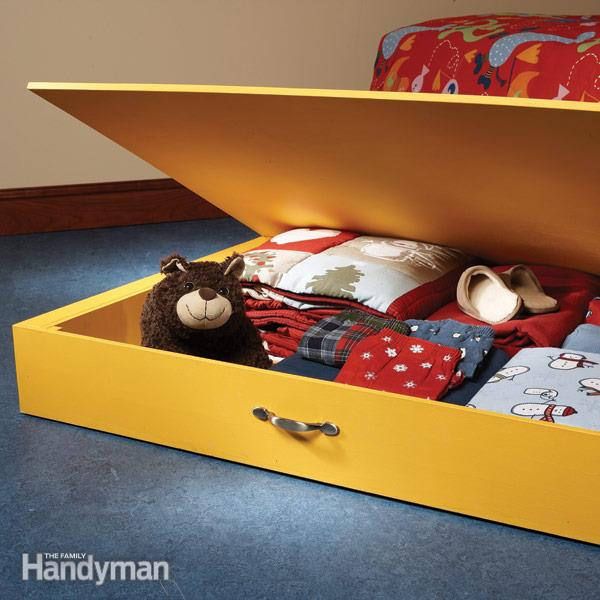 Put your kids’ underbed space to good use by following The Family Handyman’s DIY for a convenient underbed storage box . 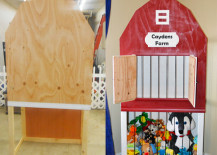 Believe it or not, the whole thing is made from just one sheet of plywood! 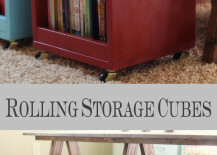 Another multi-purpose piece of furniture, Shanty 2 Chic’s rolling storage cube stools would be an adorable addition to any playroom, especially if you personalized each one with a child’s name. 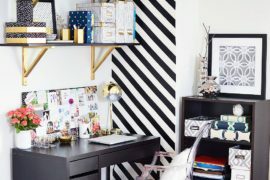 Click here for the free plans. 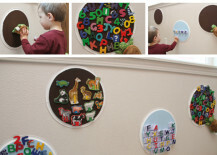 Which one of these ideas do you think would be most successful in your kids’ playroom?